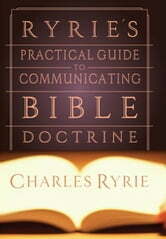 In this concise and compelling handbook, respected evangelical theologian Charles Ryrie writes to Bible students and practicing pastors alike about the importance of communicating the doctrines of Scripture. 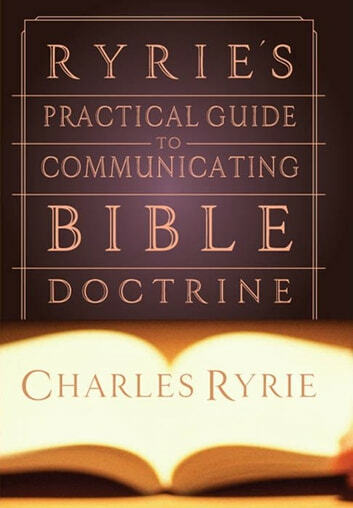 Clearly, he explains why doctrinal truth from the Bible must be a key part of every preacher's message.Using practical illustrations and applications, Ryrie addresses the reasons why so many people neglect doctrine and offers helpful ways of embracing doctrine through the use of major Bible passages, systematic theology, biblical theology, concordances, and more.Well written and sure to be well worn, Ryrie's Practical Guide to Communicating Bible Doctrine is a trusted resource that readers will enjoy referring to time and again. What Does the Bible Say About the Holy Spirit and Speaking in Tongues? Bible and the End of the World, The: Should We Be Afraid?